I know when people hear the word “loss” in relation to a book, they will immediately think that it’ll be a post full of self help books dealing with grief and loads of sadness but that isn’t always the case and isn’t the case here. The truth is that life is full of losses that come in many different forms besides death. Loss of a job, loss of youth, loss of a love and so on and so forth and as negative a topic as it may seem, it’s one of those things that is a part of life like breathing. With this post, I decided to list a couple of books I have read, that touched on loss (in the death form) in some way, BUT isn’t necessarily the whole focal point of the book, just more of a…landscape. I felt like these selections were true to life in that, while it happens, there are still other sides to life that meld with it and sometimes sprout from it. All books touching on loss aren’t necessarily depressing! 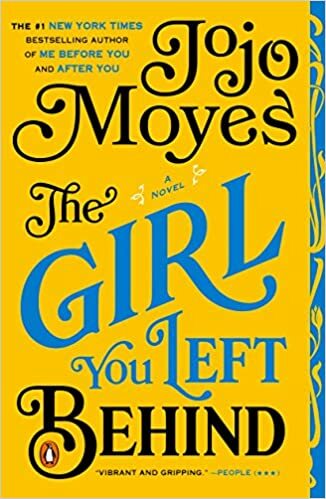 The Girl You Left Behind by Jojo Moyes: Best known for her novel, Me Before You, this was a novel I read some time ago right after I read the aforementioned (and promptly decided to take a break from Jojo Moyes haha). The novel centers on two couples. One in the time of WWII, Sophie and Edouard and in modern times, Liv and Paul. Liv is a recent widow (the loss) and is still trying to navigate life as one. When she starts dating, she meets Paul who recognizes a painting given to her as a gift from her late husband. This leads to a court case and as part of finding proof it belongs to her, Liv goes way back to the past and to 1916 where Sophie and Edouard exist. The book was okay but I found the story of Sophie and Edouard more compelling than Liv. Although, now that I think about it, that may have been the intent. I think it is a good addition to a TBR list but not necessarily a must read. 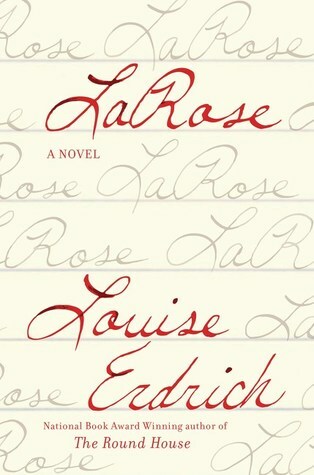 LaRose by Louise Erdrich: It’s summer 1999 in North Dakota within a Native America tribe and Landreaux Iron just realized that he has accidentally shot his neighbor’s 5 year old son, Dusty (the loss). Dusty also happens to be his son’s best friend, LaRose. Following an ancient tradition, he and his wife decide to give LaRose to the grieving parents as retribution. The book shows how LaRose blends into his new “family” especially his new mom, who has a heavy darkness within her. This book was a great example of words woven beautifully. There were so many components and many points of views that gave a whole picture of how a lot of the characters were feeling and also gave good lessons on Native American culture. That being said, this book wasn’t for me. I can’t pin point any particular reason why and I also don’t have any strong criticisms and it simply could be a case of reading it at the wrong time but I will admit it is a unique premise and would recommend reading to see if it is for you. 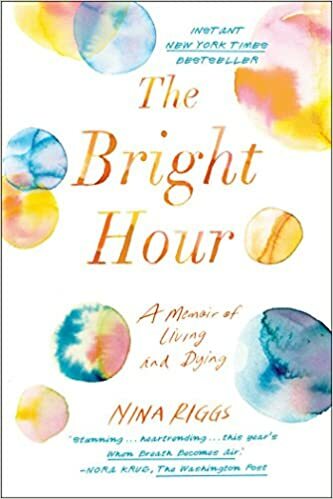 The Bright Hour: A Memoir of Living and Dying by Nina Riggs: Nina was 37 and a mother of two boys when she was diagnosed with cancer (this was while she was caring for her mom who was also battling cancer and she had a grandfather who had breast cancer). Not long after, she found out it was terminal and decided to journal about her experiences. I’ve been dying to read When Breath Becomes Air but I just can’t bring myself to, so it’s a bit surprising that I picked this up. But I did because the book was sold as being helpful and having tools in dealing with death but it absolutely wasn’t about that. Nina had such a great demeanor for someone dealing with terminal cancer. She lived life as usual and was funny in many parts and truly enjoyed her last days on earth. Hmm, maybe that was the point of the book? To appreciate life in all its glory. Fun Fact: Nina’s husband finished her book when she died as did the wife of When Breath Becomes Air and last I checked those two were dating. The Blessings by Elise Juska: I don’t know how I stumbled on this book but I loved this book a lot. 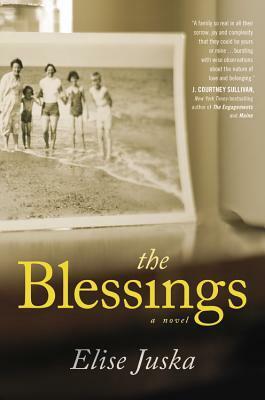 The Blessings are a close knit Catholic family and the death of John Blessing (the loss) rocks the family and we see the aftermath of who they become after his death from cancer. Each chapter focuses on a different family member in a different time period as they grow older. I loved this book for how it depicted a family who is as messy as any real life family. The stories were very compelling and there was something for everyone in terms of relatable issues. 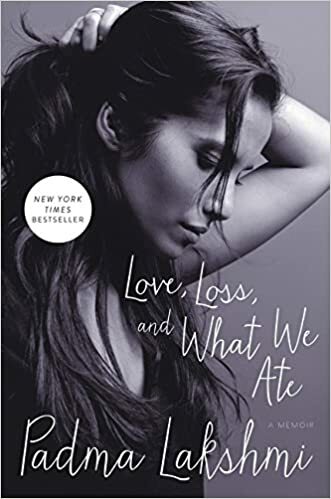 Love, Loss and What We Ate by Padma Lakshmi: Best known as the pretty faced host of Top Chef, Padma writes a memoir that chronicles her life from India to where she is today with all the messy in betweens. Padma is pretty honest about her life in this book and also her love for cooking and passion for ingredients. She talks about her daddy issues which explains her love for older men romantically, her battle with endometriosis. How it affected her marriage and was a contributing factor to their divorce. She also talks about how she was told she would never have children and ended up getting pregnant and not knowing who the father was. She was hoping the person she was romantically involved with at the time was the dad. He ended up being diagnosed with cancer and she chronicles the downward spiral of his sickness to his death (the loss) and how it affected her and her daughter. This was a pretty quick and easy read and I think the way she sprinkled in illustrated recipes in between pages was a nice touch. Well, those are my “loss” picks. Are there any that intrigue you? Let me know in the comments! Next postWhat I’ve Been Reading Lately : 4 Quick Fire Reviews. Surprised the shack didn’t make this list. the shack has already been mentioned in another list. try not to repeat books as recommendations.